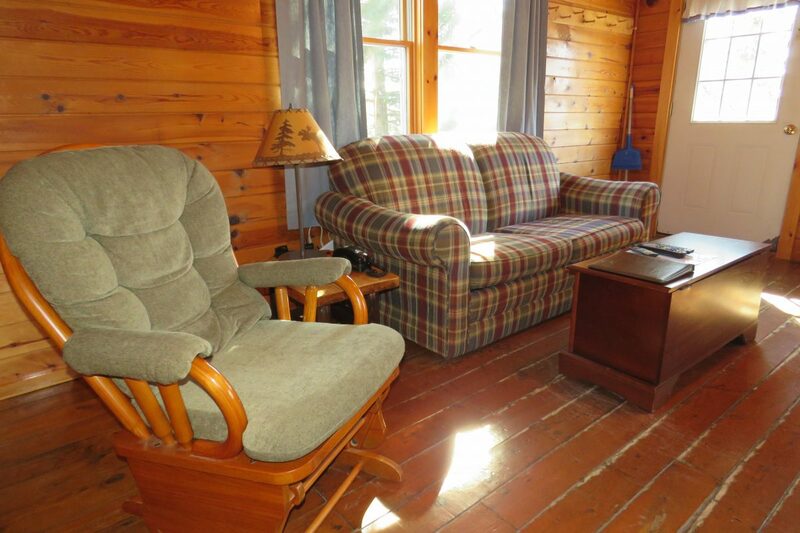 2 bedrooms (double and twin in each) Plus a pull out sofa bed in the living room. 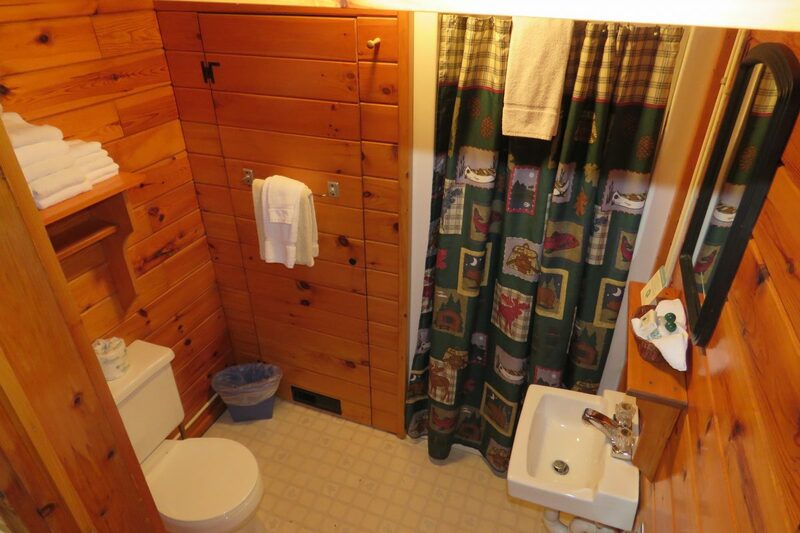 The bathroom has a stall shower. Sleeps up to 6. 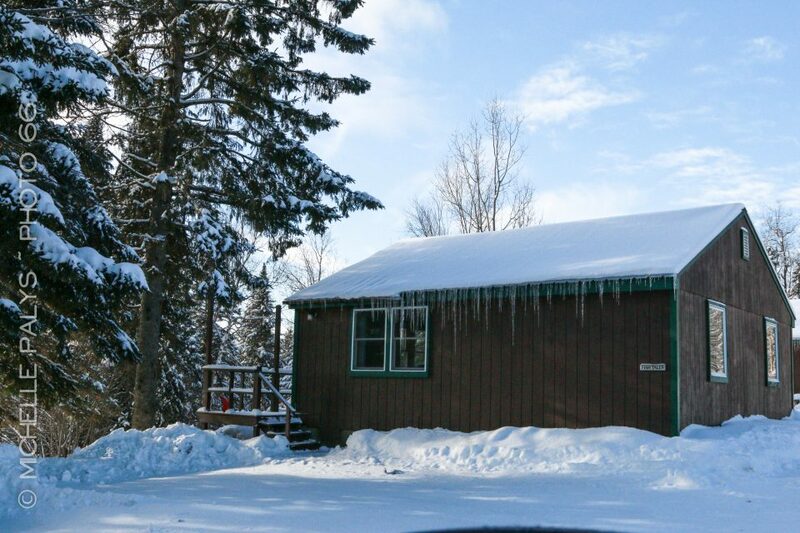 You and your family will enjoy all the North Woods adventures from this comfortable, roomy cabin. 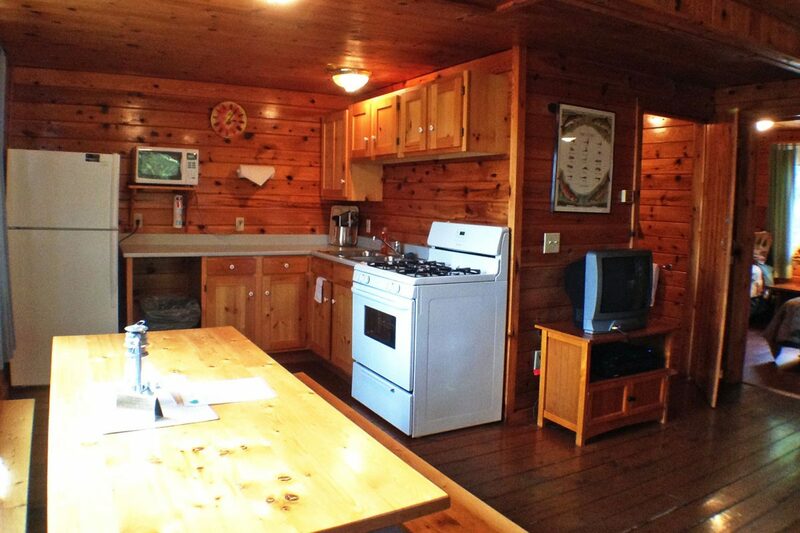 Large kitchen, comfortable sitting area, private porch with views across the lake to the mountains beyond. Steps from outdoor fire pit for the summer months. Check-in time is 3:00 pm and check out time is 10:30 am. Please let us know if you will be a late arrival. 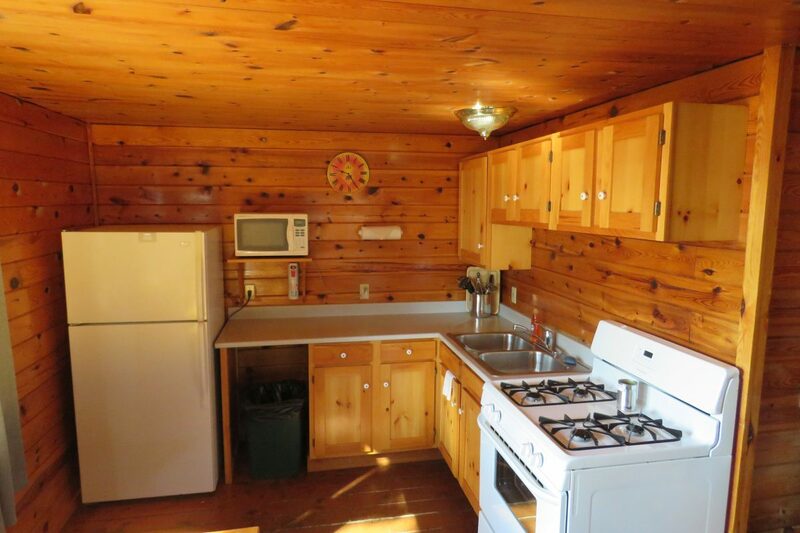 The cabin is very clean & well stocked. The countryside is beautiful! We came with our 10 year old grandson to see moose and we were not disappointed!! Beautiful! 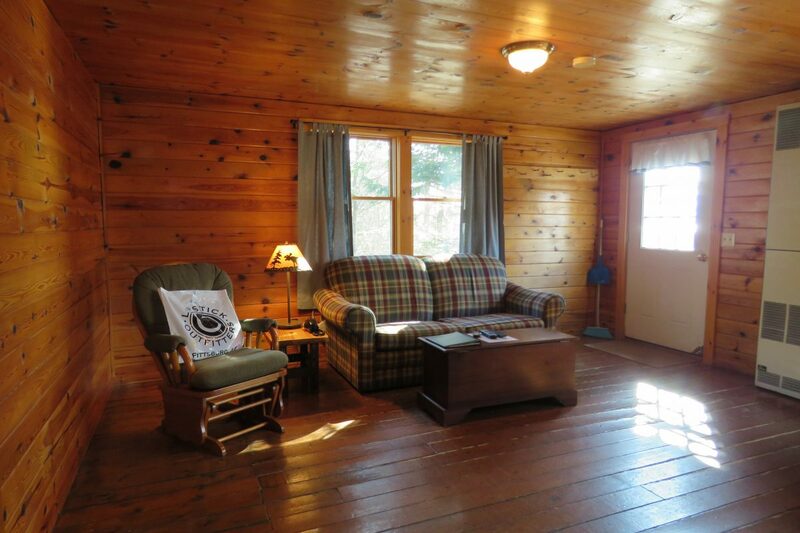 Clean, quiet, and cozy! We had a great time! We went moose watching and sightseeing of the surrounding area and Canada! 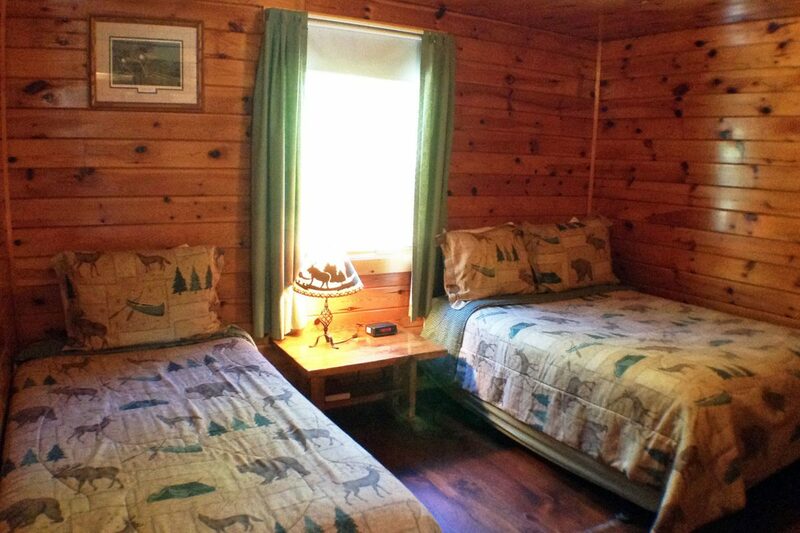 We loved this cabin! We absolutely loved the Fish Tales Cabin. 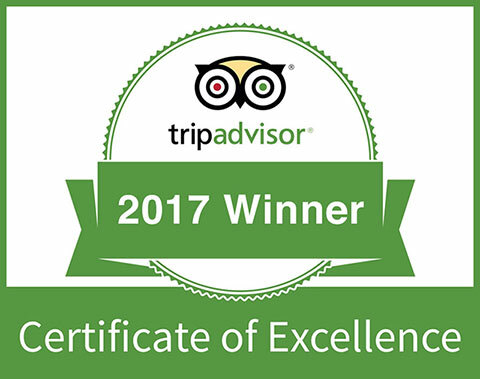 It was so clean and we loved that you have daily maid service. 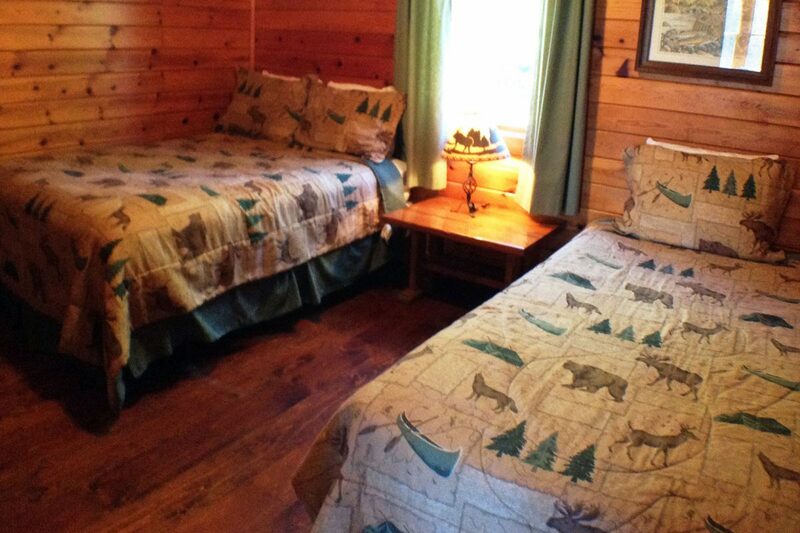 Not having to bring all our linens was great, as that is the way most cabins are! 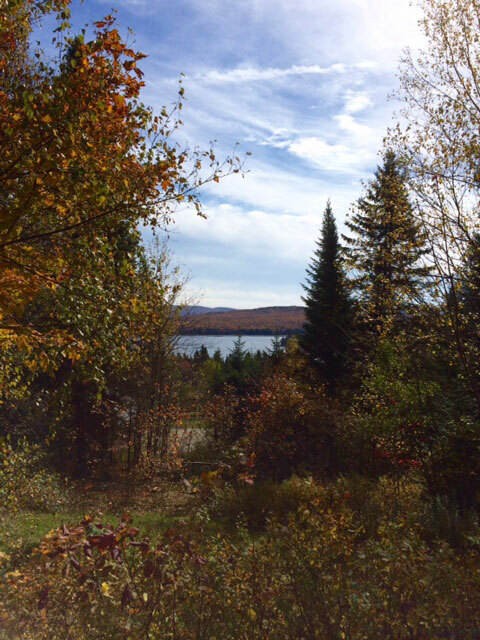 Great view across from First Connecticut Lake. We would definitely return!